To a new parent it may seem like all diapers are created equal. But it will not take long for trial and error to snap you out of this belief quick smart! Brands, sizes, and style of diaper could all lead to a messy situation if you misjudge what is best suited to the task. And the results can be... ummmmm... messy if you get it wrong. While most diapers will be ok for daytime, it is your nighttime diaper that requires some additional consideration. Your precious sleep is on the line! Especially as your little one enters into toddlerhood. When your child graduates from nursing and becomes a full-blown toddler, you can expect that there will be more wetness being generated during the night thanks to her ability to drink more fluids and the increased size of her bladder. A diaper that is not absorbent enough or that fits improperly will result in wet sheets and an unhappy baby. There may be cries during the night as your little one wakes up to find herself all wet and uncomfortable. So, we have set out to find the best overnight diapers. If you are looking for overnight diapers, then you are looking for maximum absorbency for hours of extended wearing. Multiple layers or premium materials will absorb more liquid, making the diaper more absorbent and your little one very happy. Some diapers run smaller than others, even when they are the same size. And some diapers do not work for babies on either end of the size spectrum. A diaper that fits well, whether the baby is slim or chunky, will provide better, leak-proof protection. You do not want anything scratchy next to your baby’s sensitive skin, nor do you want an adverse reaction to something that is found in the diaper material. Finding a diaper that is hypoallergenic or simply just soft will keep your baby happy and ready for hours of diaper wearing. The Pampers Baby Dry are our number one choice for overnight disposable diapers.The sizing is true to your baby, and their triple layer protection as well as extra absorb channels make this diaper extremely absorbent and great for overnight use. 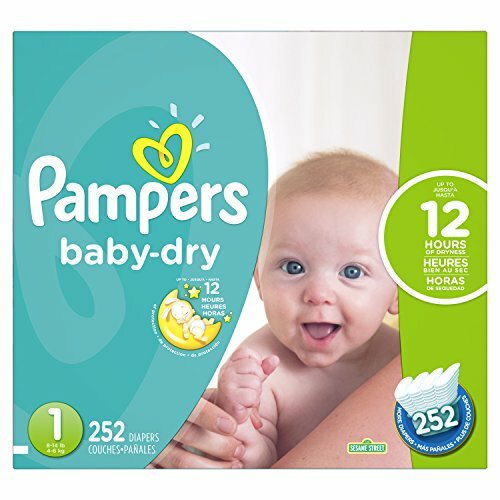 Pampers are a personal favorite, being brought to the market in 1961 and offering 5 different types of diapers in 9 sizes, as well as training pants and swim diapers. We are very particular to this brand due to the ultra soft material, which is gentle on your baby’s skin, and their ability to remain thin (not bulky) while still being absorbent. With 3 layers of protection, this diaper is much more absorbent than the traditional 2-layer diapers. Pampers are known for the softness of the material used in their diapers, and the Baby Dry are no exception. Some parents may find the baby powder scent of these diapers to be a bit strong. Introduced in 1978, Huggies has been one of the leading brands of diapers amongst parents. They offer an array of diaper types designed to take your baby all the way through potty training. Bonus: they come in adorable Disney character designs. Huggies have been trusted for many years, and we love them too. The double grip strips on the OverNites are a unique feature, as most diapers are equipped with single grips which can allow the sides of the diaper to shift and slide, causing more potential leaks. The closure tabs on these diapers are equipped with double grip slips, which help them to stay on better and prevent leaks. The embossed inner line draws away moisture and the outer layer is made of a breathable material. This newer version (with Mickey Mouse print) of Huggies OverNites is a little bit on the thin side compared to the previous “model” of these diapers (with Winnie the Pooh print). There have been a few reports of this diaper leaving behind residue or “disintegrating” when they get too wet. Seventh Generation has been known for their organic and environmentally friendly products since 1988. Their diapers, which are bleach, fragrance, and lotion free, are a great choice for parents who are looking for a disposable option that is sure to be gentle on their baby’s skin. While these diapers are still more absorbent than some generic brands, their use of wool pulp rather than absorbent gel leaves these diapers more prone to leaks over the other disposable overnight diapers we have reviewed. The interior liner and pulp used for padding is made of wool fluff, making this diaper super comfortable for our baby. You know your baby will not have an adverse reaction to these diapers as they are chlorine bleach, lotion, and fragrance free. 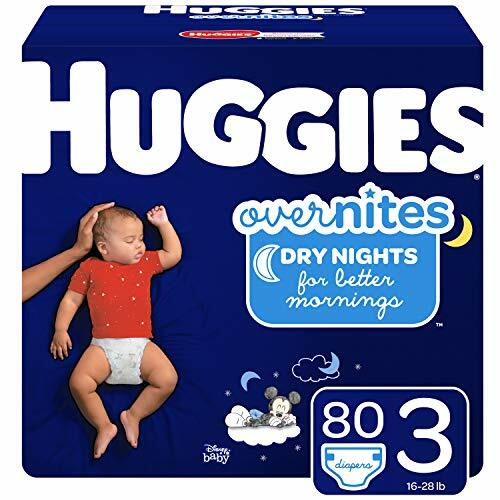 Even though these diapers are advertised as “overnights”, there have still been multiple reports of leaks throughout the night. The bumGenius Freetime All in One Diaper is our choice when it comes to overnight cloth diapers. It is highly versatile and fits just about every baby perfectly. There is no need to purchase additional inserts, and the material is highly absorbent and leak-proof. It even comes in multiple colors and a few patterns. The cloth diapers created by bumGenius are designed to make cloth diapering easy. With no need for additional inserts, their all in one diapers provide a one piece, one step diaper changing experience. The best thing about these diapers is the attached, absorbent insert. 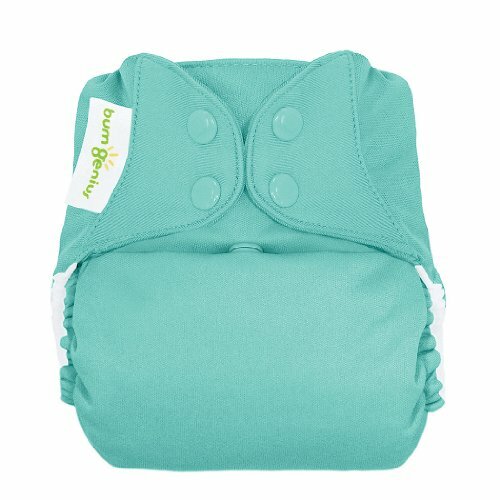 Unique to bumGenius diapers, the insert can be folded to meet your baby’s needs, whether you need more absorbency in the front for a little boy or in the bottom for a little girl. The bumGenius diaper is also a great choice for babies of all sizes. Many parents have raved that they fit even the most slim babies, which is a big deal as a poor fit can leave gaps in the leg holes causing leaks during the night. There is no need to purchase an additional insert for absorbency as the one that is included with this diaper is attached and has extra fabric that can be folded to create extra coverage and absorbency where it is needed most. Even if your baby is on the smaller size, the shape and versatility of this diaper creates the perfect fit for just about every baby. For parents looking for cotton cloth diapers, be warned that this one is 100% polyester. Created as a solution to frequent messes with traditional cloth diapers and to provide an allergen-free solution to diapering babies with sensitive skin, KangaCare, creator of the Rumparooz pocket diaper, strives to make cloth diapering easy and friendly for all types of families and babies. The patented dual inner gusset makes these cloth diapers great for overnight wear as they keep moisture in, preventing leaks, and wet sheet and clothes. This diaper comes with two insert sizes, for newborn and small babies, and older babies, which fit into the inner pocket, eliminating the need to fold them like traditional cloth diapers. From newborn to toddler, the unique flap and snap design fits your baby through all stages. After several washes and uses, the snaps that close the diaper can wear out, either not snapping correctly or falling off completely. Even though the overall cost of cloth diapering is less than disposables, the initial cost can cause a bit of sticker shock for many parents. HappyEndings Eco Diapers were created with your budget in mind, offering an array of affordable modern cloth diapers. 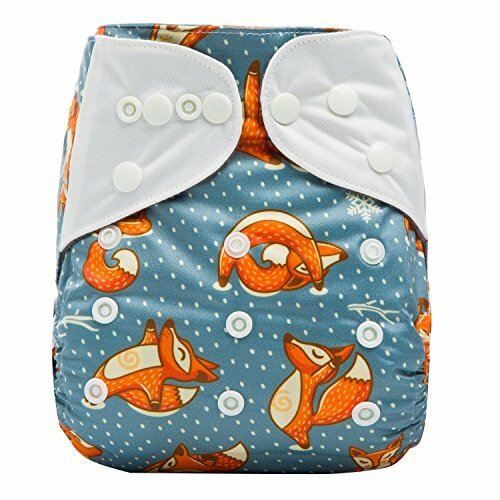 The antibacterial bamboo liner and low cost are our favorite things about this cloth diaper. However, the downside to this diaper is its lack of a waterproof outer layer, which can cause leaks when it becomes soaked through during the night, especially if your child is a heavy wetter. The built-in liner has 2 layers of bamboo fabric and 2 layers of microfleece, allowing for better absorbency. The special properties of the charcoal bamboo liner make allow your baby to remain germ-free. 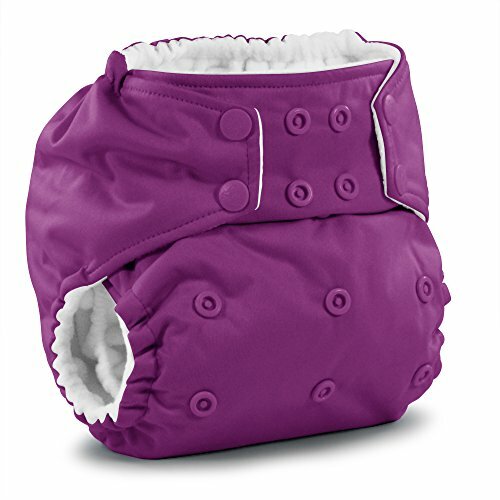 Unlike most other reusable diapers, this one does not have a waterproof outer layer, which can lead to wet clothes if the diaper is soaked through. If you have a heavy wetter or you want to use these diapers for overnight, you will likely need an additional insert, which can be placed into the pocket inside the diaper. Whether you are looking for disposable or cloth diapers, everyone would like a diaper that is more absorbent, especially for overnight use. Thankfully, there are great picks in both categories, and you are sure to find something that works for you. Questions? Concerns? Comments? Let us know below! 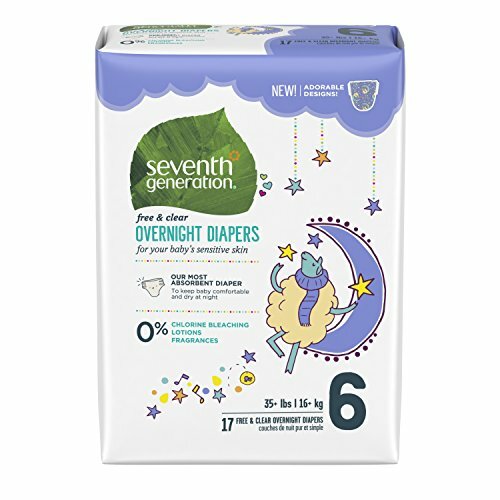 And share this article to connect other parents with info on the best overnight diapers.